This post may contain affiliate links, which means I may earn some money if you click on one. Read my full disclaimer here. If you’ve been thinking about starting an online blog or business but haven’t taken the leap yet, something must be holding you back. Sometimes it’s just simple procrastination, but often what’s holding you back from getting started is overwhelm. Because there is a LOT of information out there on the topic and there are so many option to choose from. I get it — and you’re not alone. Just a couple short years ago I was standing in your shoes. Frustrated, lost, and confused. I am grateful that I eventually took the plunge and started by blog even though I didn’t know what I was doing at the time. I wouldn’t be where I am today if I didn’t make that decision all those months ago. So today, I’m here to help you leap over that overwhelm and get your blog started. Your blog’s birthday is today, so mark it on your calendar! In today’s blog post I’m going to walk you through the simple process of setting up your WordPress blog with the popular hosting company SiteGround. With my help you should be able to get your blog up and running in a matter of 30 minutes or less — setting up a blog really is easier than you think. Let me take your hand and lead you through the entire setup process. Before you know it you’ll be well on your way to writing awesome content, building an audience and making money from your blog. Step 6: Launch your blog! I realize there are quite a few options out there when it comes to finding hosting for your blog — but the contenders aren’t all on equal footing. You’ll be very limited with what you can accomplish with your blog on these platforms, and you’ll start out without your own domain name — which is a common rookie mistake. It is incredibly important to have a unique domain name, especially if you are running your own business. Without one, you won’t look as professional as your competitors and will have a hard time getting customers to trust you and take your business seriously. Aim for the .com address when choosing a domain name if at all possible. There are other hosts that try and give you a simplified website building process like Wix and Squarespace. I’ve tried a few of these myself over the years, and found myself quite limited by what I could and could not do with these as well. You’ll also often pay more per month than if you use WordPress on a self-hosted plan. WordPress (.org) on the other hand, is one of the best and most widely used blogging platforms out there! It is powerful and robust, and you can do basically anything you could ever want with it. In fact, many top blogs and website that get millions in monthly traffic are hosted and run on WordPress. Contrary to popular belief, you DO NOT need to know how to code in order to get set up or run your blog on the platform. You also don’t need to pay a developer to handle it for you. The first thing to do in starting your blog is to purchase a domain name. You domain name is the web address that will points to your blog, and you want it to represent you and your business well! Mine is gorattlethestars.com. It’s a good idea to put some thought into what you want your domain name to be — but you’ll also need to check that the name you want is available. You should focus on attaining the .com version of your domain name if you can. If your desired .com isn’t available but you absolutely must have that name then you can consider another option. The .co is a pretty trendy and popular alternative right now. How do you find out if your desired domain name is available? 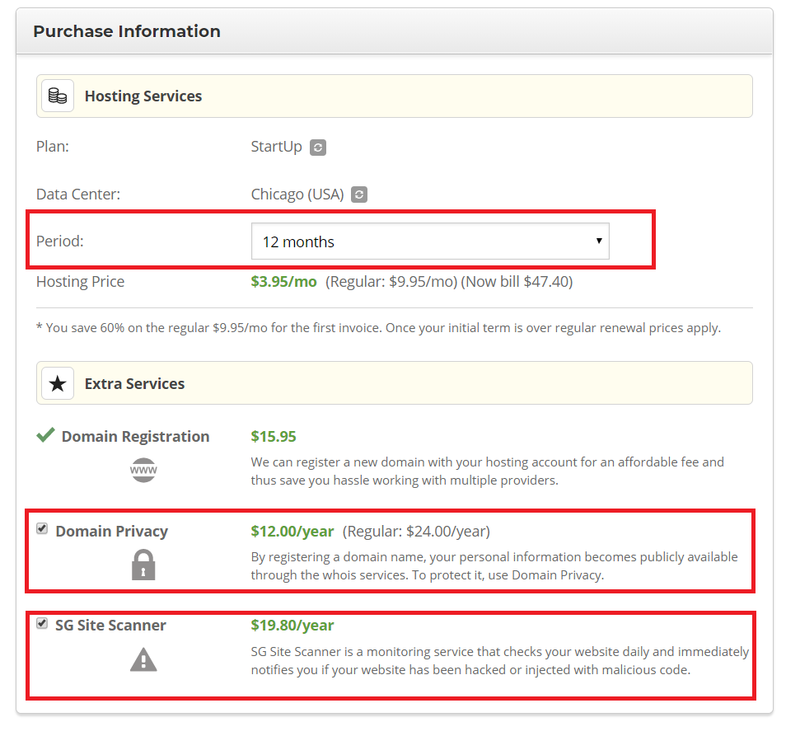 In order to search for potential domain names you should check out Namecheap or GoDaddy to see if it’s taken or not. Type your potential domain into the search box and see what the results are. Namecheap will show you which name and ending combos are available and how much each of these costs. I spent around $15 for each of my domain names, just to give you a ballpark idea of how much this should cost you. *Note: This is an annual cost, so you’ll pay somewhere around the same to renew your domain each year. Finding a domain name that works for you can be a time consuming process! Be prepared to get creative, because your first choice likely won’t be available. If someone already has your domain name and is offering it for sale, you might see a ridiculously high price (i.e. several hundreds or thousands of dollars). It’s up to you to negotiate with them if getting a specific domain is that important to you — but I would personally move on to another name. Try out different spellings and word combinations if you get stuck. Once you’ve found that perfect combination of awesome domain name and availability for a reasonable price, you can go ahead and purchase it! You can buy it straight from Namecheap or add it on to your package deal when you sign up with SiteGround in the next step. If you really want to get off on the right foot with your WordPress blog, there is an incredible course from Create and Go that I have to recommend to you called Launch Your Blog. I have taken SEVERAL of their blogging courses, and I can attribute much of my success to what I’ve learned from Alex & Lauren (the course creators). 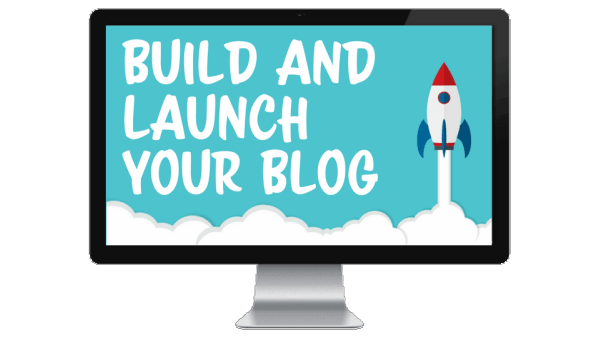 In Launch Your Blog, you’ll learn all the ins-and-outs of WordPress so you not only get your blog up and running QUICKLY, but get it running smoothly and looking amazing. The course is VERY affordable as well. >> Click here to learn more about the Launch Your Blog course. Now that you’ve registered your domain name (hooray! ), it’s time to get your hosting account set up with SiteGround! There are many hosting companies to choose from but the two I’ve personally used and can vouch for are Bluehost and SiteGround. Related Post: Read my walk through for starting a blog with Bluehost if you’d prefer to sign up with them. Both of my websites are currently hosted on SiteGround, and they are a great option if you’re just getting started. SiteGround is well known and widely respected as a great host with great support. I’ve never had to wait more than a few minutes to get a hold of support when I’ve had an issue with my site. You can sign up with SiteGround for as little as $3.95 per month if you sign up for a yearly plan by using this link. Which hosting package should you choose? If you’re just starting out with your first blog, then the StartUp Plan should cover all your needs. 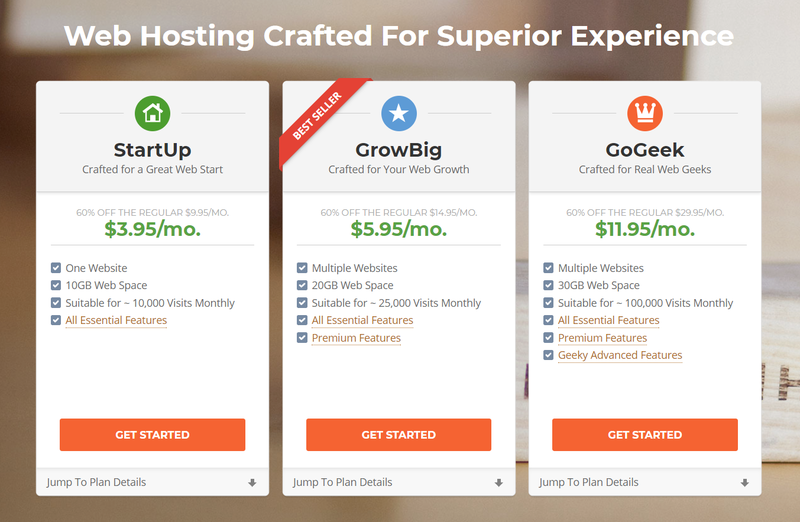 If you plan on starting more than one website, the GrowBig Plan is a good option as it allows you to host unlimited websites (this is the plan I currently use to host my two blogs). Pick a plan and hit the ‘Get Started’ button to move on to the next step. Once you’ve selected your plan, the next step will ask you if you’re registering a new domain or if you already have one. 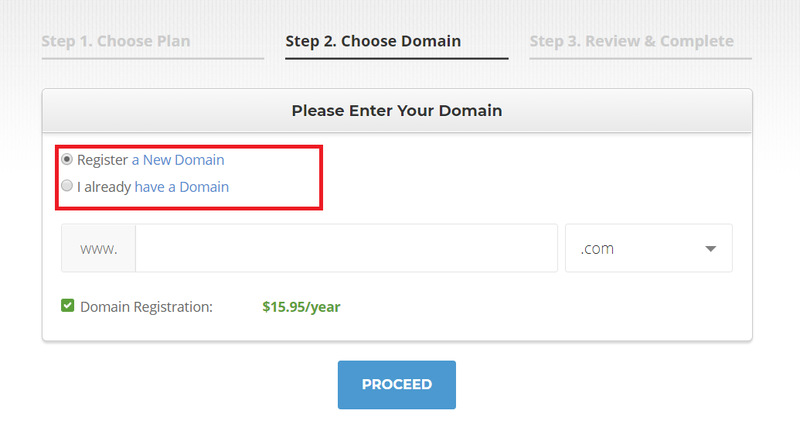 If you bought your domain from Namecheap in the previous step, then select “I already have a domain”. If you’d like to purchase your domain name from SiteGround then select “Register a new domain” and type the domain name in the box. Click ‘Proceed’ to move on to the next step. In Step 3 you’ll fill out your personal and billing information. Pretty straightforward so far. Below this there are a few options you’ll want to consider. The ‘data center’ should automatically set itself to SiteGround’s closest data center to you. After this you’ll choose the duration of your initial hosting plan. The longer the duration you choose the cheaper the overall price will be, so choose a length that works for you. There are two extra services I’d like to address, both of which are completely optional. Domain privacy can be added for a small extra fee. This is completely optional but I personally always add this. Domain privacy will keep your personal information like your name and address out of the hands of spammers and other, shall we say, interesting people who lurk on the internet. It’s well worth the peace of mind in my opinion. At the very bottom is the option to add SG Site Scanner to your plan for around an extra $20 per year. This is also optional but I highly recommend it. SG Site Scanner is a SiteGround exclusive tool that automatically scans your site every day for problems. If you ever have something suspicious going on with your site, this feature will pick it up and alert you. Site security should be taken super seriously. I can’t stress this enough. When you do have problems it’s best to catch them as early as possible in order to avoid MAJOR headaches. I’ve experienced a hack once before and it is definitely something you want to avoid if at all possible. The next best thing is to nip the problem in the bud real quick, and SG Site Scanner is an invaluable tool to help you accomplish this and keep all your hard work safe. When you’re ready, hit the ‘Pay Now’ button and you’re done with this step! You deserve a pat on the back, because you now have website hosting! And all for less than fifty bucks a year. 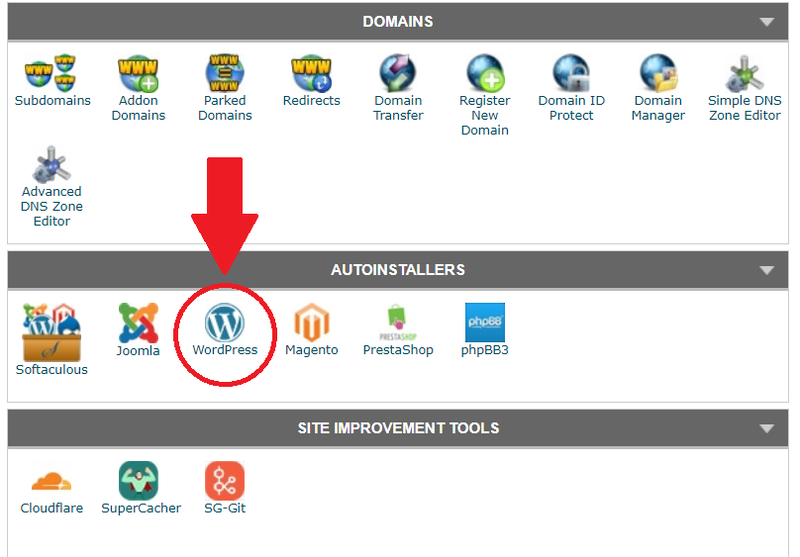 Through the simple WordPress auto-installer offered by SiteGround. That’s a pretty easy decision — we’re going to go with option #2. SiteGround’s WordPress auto-installer allows you to get WordPress up and running on your site in a matter of seconds. Step B: Once inside your Control Panel, scroll down until you find the ‘WordPress’ option under the ‘Autoinstallers’ section. Click on the WordPress icon to go to the auto-installation screen. 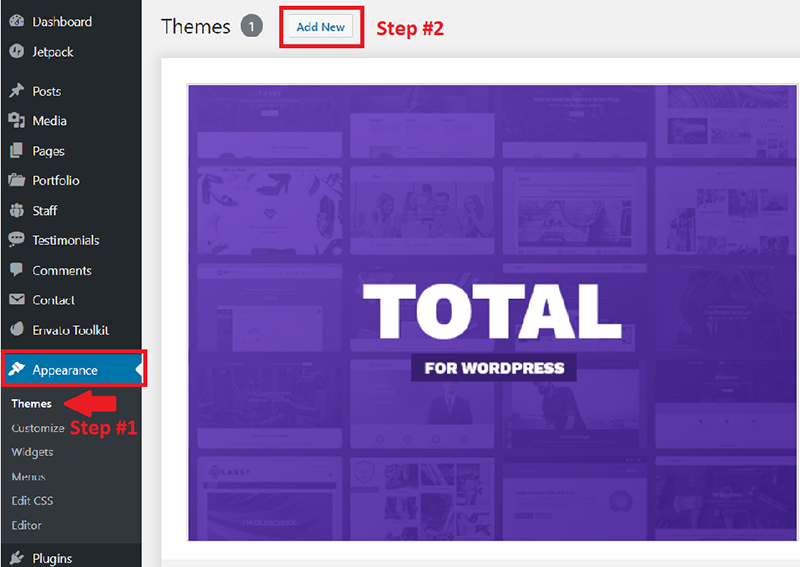 Step C: On the WordPress auto-installation screen you’ll click the ‘Install’ button/tab > enter your information > then hit ‘Install’ at the bottom of the screen. Then voila! You have successfully installed WordPress on your new site. If you want your site to look fabulous then you’re going to need a kickass WordPress Theme! Okay. Technically all WordPress blogs have a theme because they’re kind of a requirement. But that’s beside the point. So what does a theme do? It gives your website its whole look and feel as well as a whole bunch of awesome customization features. There are literally thousands of WordPress themes that are available to you, both free and paid, so make sure you pick one that suits you! Free options are often lacking and will leave your website looking less than its best. WordPress gets updated often, and your theme needs to update along with it. Paid themes have people working to get updates out fast so you don’t experience any problems or down time. Though it may be convenient to go with a free theme, I highly recommend a premium paid theme. Premium themes are almost always easier on the eyes, but more importantly they’re better supported. Staying up-to-date is incredibly important in keeping your blog safe and secure. Hackers are always looking to find a way to break into your site, and a theme or plugin that hasn’t been updated in a while is a prime way in. If you want to browse what’s available, ThemeForest is a great marketplace where you can find just about any theme that suits your fancy. The most beginner-friendly theme and the one I’m constantly recommending to everyone I know is Divi by Elegant Themes. 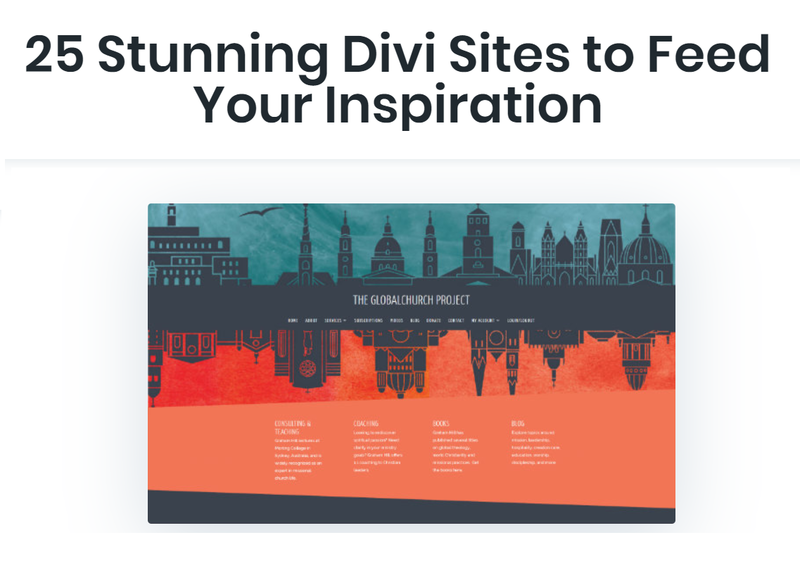 Divi is a great user-friendly theme that allows you to skip the coding and build your website visually using its simple and elegant page builder. Plus, when you sign up for Divi you get access to ALL of Elegant Themes’ themes and plugins as well as premium support. It really has everything you need to get started. Once you’ve made your choice and completed your purchase, you’ll download a ZIP file that contains all the files for your new theme. You’ll need to upload this to your WordPress dashboard, then activate. Login to your WordPress Dashboard, then click on ‘Appearance’ in the side menu. In the drop down menu, click on ‘Themes’. On the ‘Themes’ page, click ‘Add New’. Upload the ZIP file that contains your WordPress theme. You can also activate a free theme or search for one here if you didn’t purchase a premium theme. 4. Click to Install, and then Activate your theme. Once you click activate, your theme will be live on your site! Now it’s up to you to play around with your new theme to customize the look you want and add plugins to get the features that you need. The options to do this will vary depending on your theme, so it’s a good idea to read the documentation provided by your theme’s creators to learn about everything you can do with it. You’ve done it! By now you should have your blog all set up and be ready to start customizing to your heart’s content. Tweak the design of your site, add advanced features with plugins, and upload your first blog post! This is the part where you add your own personal flair to your blog and really make it your own. Yoast SEO – to easily optimize your blog posts with keywords for Google SEO. BackWPup – to create backups of your site. SUPER important if anything ever goes wrong. WooCommerce – to host your online store and sell products to your audience. Akismet – anti-spam filter to block spam comments and fake login attempts. Sumo – for adding social sharing buttons, and pop-up opt-in forms. Sucuri Scanner – free scanner that tracks activity and scans your site for malicious code or activity. You’ll add different plugins based on the features and capabilities you would like to have. Just remember to use plugins from trusted sources and make sure they are getting regular updates. Outdated plugins are a security threat to your site, so only use those that are still being supported by their creators. If you want more personal recommendations check out my master list of blogging resources that I use to create and grow my own blog. Looking for some great reads for new online bloggers and entrepreneurs? Check out my list of the 10 Best Business Books for Creative Entrepreneurs. 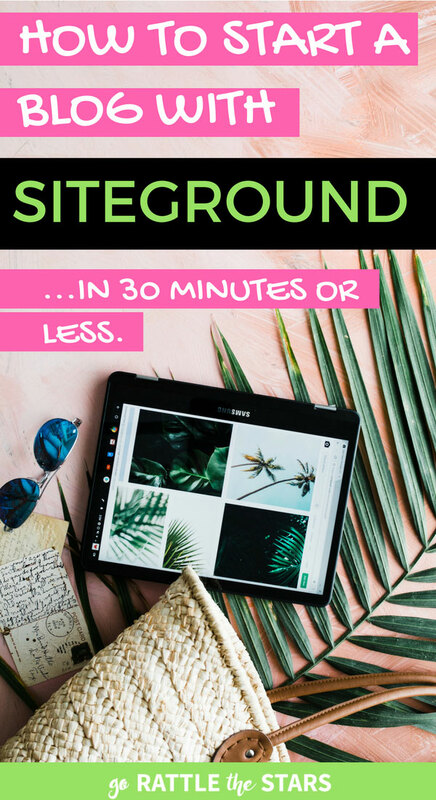 Ready to get your blog started on SiteGround? Sign up with SiteGround for as little as $3.95 per month when you purchase a yearly plan using this link. Step #6: Ready to Launch Your Blog? If you really want to get off on the right foot with your WordPress blog, Alex and Lauren from Create and Go have a FANTASTIC course called Launch Your Blog. I have taken SEVERAL of their blogging courses, and they’re all top notch. In Launch Your Blog, they’ll walk you through all the ins-and-outs of WordPress so you not only get your blog up and running QUICKLY, but get it running smoothly and looking amazing. It’s a WordPress course for the non-techie — and it is DEFINITELY the course I needed when first starting out. When you enroll in Launch Your Blog, you’ll drastically shorten the WordPress learning curve to make back your investment in no time at all. Creating content to drive traffic to your beautifully designed site, promoting your products to your new audience, and making lots of sales and raking in the profits! Hi! I'm Brie. I'm a social media marketer on a mission to help you grow your Instagram following, increase traffic with Pinterest, and make money from your online business or side hustle. 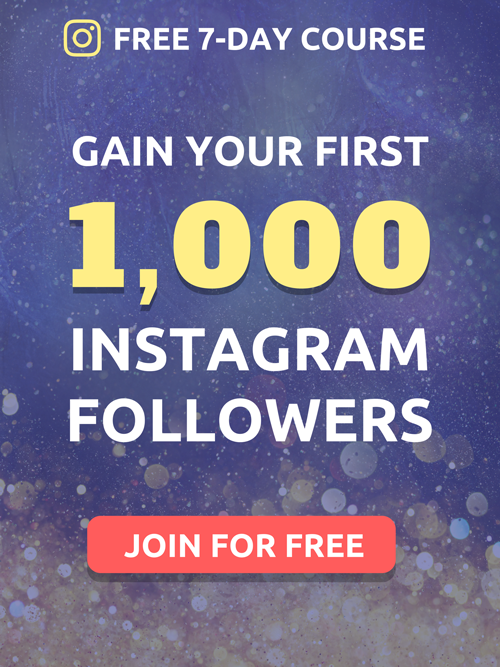 I've grown my own Instagram accounts to a combined total of 110,000+ followers and helped hundred of people successfully grow their social media presence. I'm Brie. 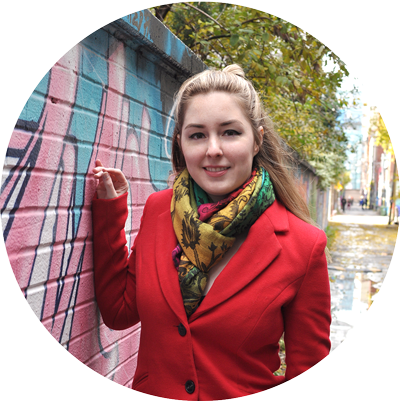 I help creative business owners create a solid social media strategy so they can reach their target audience – and get real results. My claim to Instagram fame? I've grown TWO accounts from 0 to a combined 100,000 followers in under a year, and successfully monetized both businesses. I gained 80k followers in under a year - let me show you my process in this FREE 4-day eCourse.